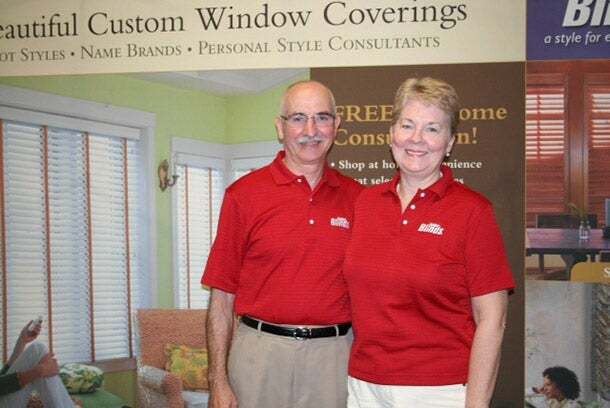 John and Elspeth Newlands began exploring franchises as they headed into their senior years, after retiring from previous careers. Fortunately, they had already built up some skills that would be key to their career in franchising. While their corporate careers taught them plenty about sales, it was perhaps their hobbies that helped the Newlands the most as Budget Blinds franchisees. John had renovated the couple's Victorian house in Scotland, while Elspeth trained in Feng Shui. Here's how this couple turned their design-centric hobbies into a second career. We have owned our Budget Blinds of Honolulu franchise since the end of 2011. We are heading into our senior years and were looking for a brand with strong awareness. Budget Blinds has a tried and tested system with great vendor relationships, which is important to us in business. With these proven systems at work, we’ve been able to focus on sales, customer services and installations and have hit the ground running since 2011. Elspeth has 15 years of experience in corporate sales working for major computer and telecommunication companies in the U.K. She also ran her own sales consultancy business for a few years and had strong administrative skills from being a secretary in her earlier career. John had spent more than 25 years in corporate sales with leading office equipment companies in the U.K.
John and Elspeth left the U.K. in 2004 and decided to move to the U.S. where they became interested in becoming their own business owners. We looked at a number of different franchises but felt that Budget Blinds was a good fit for us. With a strong support system and proven track record, the corporate team continues to provide us with the support that we need. We were impressed by the strong ethics of the five owners that we discovered when visiting the corporate office on our first Discovery Day prior to signing onto the business. Window coverings are the final touch to decorating a home so we thought it would be a business that we could be passionate about and enjoy. John loves design and has very practical skills from renovating our Victorian house in Scotland in his spare time over a period of 12 years. Additionally, Elspeth trained as a Feng Shui consultant for two years with a Chinese Master in the U.K. She consulted on Feng Shui in her spare time. We spent approximately $75,000 to buy into the franchise and about $100,000 total between that investment, a van, and additional equipment. We worked with a business broker who helped us narrow down the selection over a period of four months. We narrowed it down to two and ultimately chose Budget Blinds as the best fit. Budget Blinds provided us with a sales advisor who walked us through the process and answered all of our questions in the early stages. We were given the phone numbers of all existing franchisees and had the opportunity to speak with 10 of them on the phone at length about their experience with the brand. We also met with the other Budget Blinds franchisee in our area to learn more about their experience. Our official visit to the corporate headquarters in Orange, Calif. helped to establish the fact that it was the correct decision. It was not really unexpected but the long hours of dedication needed to build a business and the need to juggle finances for the first year were challenges we faced in the beginning stages. Owning your own franchise is not just a job! You need to be passionate about building your business and be willing to work long hours. You also need to be excellent at customer service if you want your business to grow and benefit from customer referrals. When starting a franchise it’s always very important to be good at multi-tasking. If you enter a franchise that heavily depends on direct sales, refine your own sales skills in this area or find someone who is proficient that can help promote sales for you. It’s important to understand your own strengths and outsource others for additional skills that are necessary. Know when to ask for help and when to roll up your sleeves. We have experienced a steady growth of about 25 percent per year during our first three years and are currently working at maximum capacity with John, Elspeth, a product installer and part-time office assistance. We continue to keep an eye on our Internet reviews, which is critical for helping grow our business and referrals. We would like to increase sales further by hiring another salesperson and product installer. It’s very important to us to train the others on our team what we do so that we can eventually consult more as we head towards our retirement years. We want to put the necessary pieces in place to maintain the success for our entire team. Our daughter also helps with the administration and sales of the business. We would love to see her step into the Budget Blinds franchise as we near retirement – hopefully not for a number of years!